Ahead of the Third Test, India's head coach Ravi Shastri slammed the critics on team's selection policies for the second Test, which caused a 146-run defeat against the hosts Australia by saying, "When you are millions of miles away, it is very easy to fire blanks. Their comments are too far away and we are in the Southern hemisphere. We have to do what's best for the team, as simple as that". 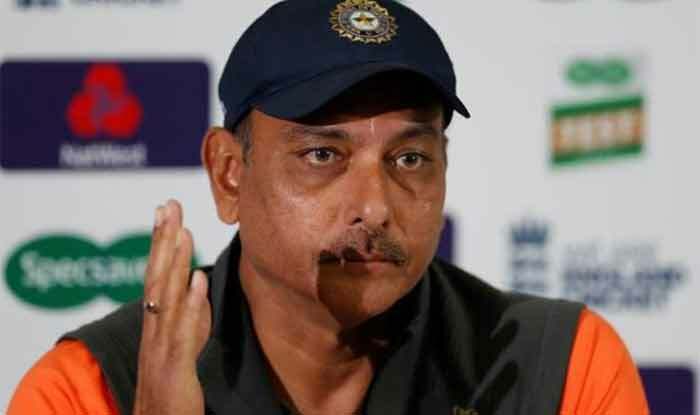 Australia vs India: Ahead of the Third Test, India’s head coach Ravi Shastri slammed the critics on team’s selection policies for the second Test, which caused a 146-run defeat against the hosts Australia by saying, “When you are millions of miles away, it is very easy to fire blanks. Their comments are too far away and we are in the Southern hemisphere. We have to do what’s best for the team, as simple as that”. India were thrashed by Australia in the second Test in Perth by 146 runs, prompting the likes of legendary Sunil Gavaskar to question the team management’s selection policies and demanding more accountability from captain Virat Kohli and the head coach. Shastri didn’t take any names but in his inimitable style rubbished all criticism making it evident that he has not taken it too well. “Apart from Jadeja, I don’t think there was any other selection dilemma and if there was, it is not my problem,” Shastri replied with his usual swagger. When asked about Jadeja’s on-field spat with Ishant Sharma that was caught on camera during the second Test, the coach replied, “I am never surprised (by such coverage). I love the coverage, bring it on, as simple as that. In many ways, it can inspire a team to come together and let us hope it does,” the coach said. There were no surprises when Shastri backed skipper Virat Kohli, whose on-field behaviour has been questioned by the Australian experts. “He was fantastic. What is wrong with his behaviour? Of course, you can question but as far as we are concerned, he is an absolute gentleman,” said Shastri. Shastri, however, admitted that top-order has been an issue for the team with both KL Rahul and Murali Vijay failing in four successive innings in the two Tests. “Top-order problems are a big concern, that’s obvious. Responsibility and accountability have to be taken by the top order. I am sure they have got the experience and exposure over the last few years to get out there and deliver,” said Shastri, backing Rahul-Vijay to come good. He did give an indication that team management is seriously looking at Mayank Agarwal as an option. “Mayank is a good young player. He has got loads of runs for India A. He is someone who has come through the ranks and when you look at his domestic record, his performances are as good as anyone. So that’s a call we will have to take,” he added. When asked if India has lost any momentum in Perth, Shastri said that the team are in a unique position at 1-1 in the series, one they didn’t experience in South Africa or England. “We have not lost any morale in Perth. We knew we had our chances there in Perth as well, so we are ready. We are at 1-1 in a Test series in Australia.” Very rarely have we been in a position (this year) where we are 1-1, and it is not often for a team, when they travel overseas, that they are placed 1-1 with two Tests to go. So the boys know what they can do and what they are capable of. The potential lies ahead. We will be third time lucky (after South Africa and England),” Shastri signed off.